Want to work from your Tennessee home? Then you'll need to find the companies that hire in the Volunteer State. Yes, it seems like it doesn't matter from where a work-from-home contact center job is done, but it does. Not too many companies hire in all 50 states, dues to employment and taxation laws. These call center companies hire for home-based jobs in Tennessee. Accolade Support Call Center Services: This company offers tech support services to its clients and uses remote support agents as well as CSRs to meet that demand. All its phone agents are independent contractors. Compensation is done on a per-minute rate at a maximum of $10/hour. However, there is no minimum wage. Alorica: This company merged with home call center company West at Home and now works on much the same business model. It hires home-based customer service reps in Tennessee. While they are paid on a per-minute or per-call basis, they are employees so they are assured of earning the minimum wage in Tennessee. American Express: This worldwide financial services firm hires remote contact center agents with experience in reservation systems (as well as travel agents). Bilingualism is plus. Apple At-Home Advisors: Home-based agents in Apple's customer care division work as tech support agents. Though the jobs often have locations in the job postings, agents do not have to live in those locations to apply. Apple provides computer equipment. ARO: Company's home-based contact center employees do a variety of jobs such as sales and customer service as well working as insurance auditors and LPNs and RNs. Aspire Lifestyles: Specializing in virtual assistant or concierge services, company's work-at-home employees use phone, e-mail, and chat to service clients. Fluency in French, German, Spanish or Italian is a plus. Asurion: Device replacement insurance company employs work-at-home agents in full- and part-time positions. Carenet Healthcare Services: Registered nurses from Tennessee work in these home-based medical call center jobs. Pay is approximately $25/hour. Jobs are full time, and overnight work may be available and/or required. CenturyLink: This provider of voice, broadband, and video services for consumers and businesses hires home-based contact center agents and pay $10-11 per hour. Bilingual candidates are encouraged to apply. Convergys: Home-based call center reps employed firm take incoming calls and perform customer service, sales or tech support. Training is paid, and a benefits package is offered. LiveOps: Independent contractors, not employees, work these customer service jobs, which include bilingual customer service (Spanish and French), insurance work and financial services. Compensation is based on minutes of talk time plus incentives in some cases. Agents must become "certified" to work for individual clients. This certification is not paid. Agents must pay for their own background check. HSN.com: The Home Shopping Network has home-based jobs in contact centers. Inbound calls are both sales and customer service. Full-time positions provide health insurance benefits. 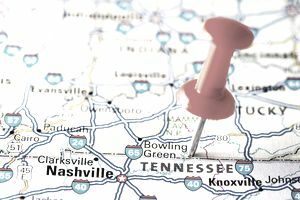 Jobs are based in Nashville, TN. Support.com: Company provides technical support services for its clients, using remote chat and call center agents. Its remote services technicians answer inbound calls. teleNetwork: BPO employs home-based agents to work in technical support and as customer service reps. Benefits are offered. Transcom: Call center company hires work-at-home agents for customer service and tech support in Tennessee. Ver-A-Fast: Remote agents do verification company's clients, which are primarily from the newspaper industry. Windy City Call Center: Contact center employs work-at-home agents for both inbound and outbound telemarketing jobs. Hourly pay starts at $9 and increases to $10 after three months. Company offers benefits like a paid time off, healthcare plan and 401K.